No medical professional wants to give an injection to a patient that will be painful – it is not in their nature to harm a patient, and they want their patient to be able to trust them completely, something that is a little harder if they have just received pain from your hands. That is why so many health professionals strive to ensure that they always reduce the amount of pain and/or discomfort that their patients feel when they give them an injection. The key to giving injections that are painless is to first understand exactly what it is about injections that make them difficult in the first place. By understanding that, it is possible to remove or reduce those elements, and therefore give patients a much more pleasant experience of receiving an injection. The main problem with injecting Botox to patients is that the manufacturers advise that it is first mixed with saline, and this mixture will have a pH of around about 4. This means that the mixture has become very acidic, and this causes the scratch and sharp feeling of pain that patients experience when the needle breaks the skin. If you are injecting Botox and you want your patients to have a much more pain-free experience, then you can choose not to mix it with saline as the manufacturers suggest, but to instead mix it with bacteria static saline, a very different mixture altogether. This creates a solution that has a pH of around 6, almost neutral so that your patient does not have to endure an acidic injection, making the whole experience of receiving an injection much more pleasant and easy to undergo. Very few people realise that this small change within their medical practice could make a huge difference to their patients. More about the full Botox Training Program. One of the most important aspects of Botox injections is ensuring that the patient does not experience any pain from the injection that you give them. This is a lot easier to say than to do, especially as every single patient is different, with different reactions to injections, different sensitivity, and a different approach and psychological relationship with needles. The skin that lies across our bodies is actually relatively thin, even though it consists of many hundreds of layers. Underneath these multiple layers of skin are the muscles, those ingenious things that enable us to move – and are very sensitive, with millions of nerves running through them in order to be able to move effectively and efficiently. Underneath all of them is the bone. Now of course, a Botox injection should never be reaching so deep as the bone, but for a good practitioner, the needle should not be getting anywhere the bone at all. That is why, depending on the thickness of the patient’s skin, the needle should be entering their body at an angle to ensure that it does not penetrate the bone. 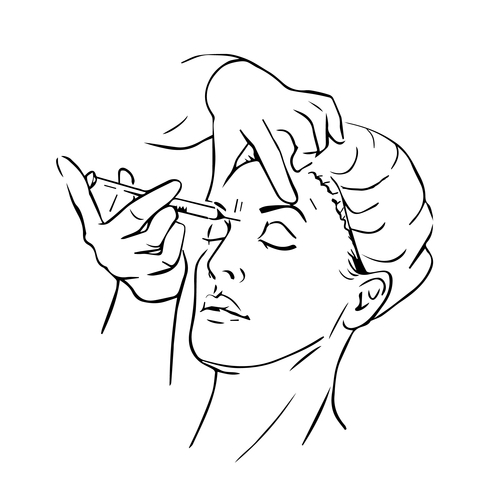 The exact angle will depend on the area of the body that you are injecting. For some areas, a 90 degree angle is appropriate, but this is rare. By determining exactly how thick the muscle is in the area that you are injecting, you will be able to tailor the way that you give the injection to ensure that the patient does not feel any pain or discomfort. Every patient will provide a unique puzzle, and it is one of the joys of working in medicine that you can never treat a different person exactly the same way as you have treated another – and this is perfectly true when giving painless injections to your patients. Is there a treatment for underarm sweating? Whether or not you agree with people using it, it is impossible to deny that there are now large numbers of people who have Botox in order to use it to remove those wrinkles and lines – but what people often do not realise is that Botox can be used as a medical treatment, such as for excessive sweating. The FDA approved Botox as a treatment for excessive sweating over a decade ago in 2004, and for people who go through medical grade antiperspirant within a week this can really change their lives. What Botox is able to do is block the sweat glands in the body, preventing them from even making any sweat for up to one year after treatment. Now, this can be used as a cosmetic thing, such as by brides on their wedding day because they want to make sure that they do not overheat and get their gown dirty, but it is estimated that one in three people in the American population actually suffer from excessive sweating. 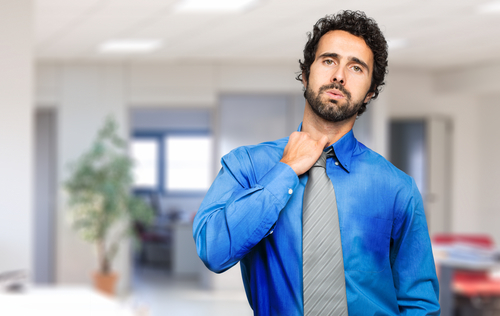 The official name for excessive sweating is hyperhidrosis, and this can occur in many parts of the body not just underneath the arms – face, feet, hands, and groin are just a few examples. Those who have it do not just sweat when it is very warm, but continuously, and far more than other people. Many people will not actually realise that they have a medical condition: they will have always sweated like that, and will just assume that it is completely healthy. That is just how they are. Often it is only when they begin to notice that other people are not sweating nearly as much as they are that they realise that there is something different about them. Botox does not destroy or kill the sweat glands in our body, but it does block them or switch them off, so the body does not feel the need to make more sweat. The chemical reactions are slowed down and then prevented by two weeks after the treatment, although after a year the treatment will cease to work, and the patient will need to have another treatment. The procedure is very simple. The practitioner who is administering the Botox will create a grid of dots on the area that requires treatment, probably only around 1 cm apart, so that they cover the entire area to prevent sweating. Around 100 units of Botox will be required for two underarms, which may sound a lot but any less will probably not create the desired effect. Although the treatment does not go very deep underneath the skin, most administrators of Botox prefer to use a numbing cream on their patients so that they do not need to worry about any pain. For a truly skilled Botox professional, they can have two underarms completed in less than ten minutes, which is great for patients who are wary of needles – it can be over quickly! 95% of people who receive Botox report that they have complete satisfaction, which makes Botox one of the most safe and effective courses of treatment that is available. Its predictability is what makes it so trusted by doctors and patients alike, and apart from a small amount of bruising, patients do not really notice any side effects. Botox underneath the arms for excessive underarm sweating has an 87% complete success rate, allowing patients who have never been able to go to the gym for a full on workout before because they were so embarrassed about their excessive sweating to go, and push themselves harder and faster than they ever have been before. They can enjoy wearing whatever they want, and going wherever they want, and doing whatever they want, because they do not have to worry or be self-conscious about their excessive sweating anymore. This treatment plan can really release people who have felt restricted by their medical condition for so long. Patients should wait for up to two weeks in order to feel the full effects of the treatment, but by the third day they will already be able to notice drastic improvement. This should last for months, though of course the exact amount of time will always vary depending on the patient, and their natural metabolic response. People that exercise frequently or who suffer a great deal amount of stress will find that their treatment does not last as long as other people. Some patients are concerned about something called compensatory sweating. This means that because your body realises that it can no longer sweat through your underarms because it is being prevented from doing so by the Botox, in order to cool your body down it will try and sweat excessively somewhere else on your body, such as the patients’ feet or hands. However, for most people this simply does not happen. In the rare cases that patients do notice a subtle shift in the way that their body works, it is easy enough for their doctor to prescribe Botox in those areas too, although the success rate for feet is not as high. As hyperhidrosis is a medical condition, many people will be able to receive Botox as a treatment under their health insurance, which means that they can truly change their lives for the better without any cost. Would you like to be able to inject your patients to treat excessive sweating? If so, register for Dr. Katz’s Botox program here. Although Botox is most commonly known to be used by those who want to achieve a youthful expression on their facial features, that is not its own use. The U. S. FDA approved onabotulinumtoxinA which is the full chemical name for Botox for severe primary axillary hyperhidrosis in 2004, which is a medical condition that many suffer from that has excessive sweating underneath the arms as its primary symptom. Botox has actually been approved by the FDA since 1989, and currently is the accepted treatment for eight different medical conditions the world over. Millions of patients have enjoyed the benefits that Botox can bring for problems such as movement disorders, and now America joins the nineteen other countries that use it for excessive sweating. A naturally occurring protein that has been purified, onabotulinumtoxinA is useful to those in the medical profession because it is able to block the chemical that tells our bodies to sweat – and by interrupting this message, we can prevent sweating in the areas that it has been injected, which is why Botox injections are often just underneath the skin. Research and evidence from countless doctors have proven that using onabotulinumtoxinA as a treatment for excessive sweating is not only safe and effective underneath the armpits, but also in many other areas such as the head (and face), the hands, and the feet. For underarm sweating, there is a 82-87% decrease in sweating which will bring considerable relief to the patient, and these results begin around three days after receiving the Botox injection, with the peak around two weeks. A Botox injection should work for up to a year, and in some cases it can last a few months longer than that. Not only that, but additional research has demonstrated that if the Botox treatment is repeated, it can continue to have long lasting benefits for the patient. Although some may argue that sweating is necessary for the body to be able to regulate its own body temperature, and using Botox to prevent this under a person’s arms could be damaging to their overall health, only 2% of the body’s sweat glands can actually be found underneath our arms, and so the patient will still be able to continue cooling themselves down if they become too hot. There is also no compensatory sweating noted on any of the patients. Just like when Botox is used for underarm sweating, excessive sweating that occurs on a patient’s hands – also called palmar excessive sweating – can also be treated by Botox, and it enjoys between 80-90% success, although repeat injections will be required every six months. There are sometimes uncomfortable side effects, such as temporary weakness and pain, but this is only felt locally. Administering Botox may seem like just a small pinprick of a small needle, but it requires a great amount of skill, and so only those who are highly skilled should be doing it. One of the side effects from administering Botox to the face is asymmetry, and this can frequently occur on the forehead. This happens when some of the Botox finds itself in the facial muscles – but this side effect is only temporary, and can be treated. Plantar hyperhidrosis, or excessive sweating of the feet, is another area in which Botox injections are used, but due to only a 50% success rate and significant pain after the injections, this is a much less frequently used type of treatment. The International Hyperhidrosis Society offers training to those who wish to be able to offer patients who suffer from excessive sweating Botox treatments, and really those people should be the only people who perform it. You can tell whether or not a doctor has this training by looking for the phrase ‘Attended IHHS education and training sessions. It does not take long for Botox to be administered for underarm sweating when done by a true professional – and in less than ten minutes in your doctor’s own office. The only restrictions that a patient will be under after receiving the injection is they are not permitted to do intensive exercise, or use a sauna on that day. Many physicians prefer there to be three or four days of hair growth. The procedure itself consists of a very fine needle being used to place underneath the skin the smallest amounts of onabotulinumtoxinA, or Botox, usually every 1 cm in a sort of grid pattern. Your doctor will be able to decide just how many injections each patient will need to receive. Depending on the doctor and the patient, anaesthetic technology may be used. It is recommended that every patient goes back to their doctor within the fortnight of receiving Botox for excessive sweating for a check up, so that they can ‘touch up’ any areas that are still sweating excessively. This means that the full treatment is offered, giving the patient the maximum benefits. It is impossible to tell exactly how much Botox treatment for excessive sweating will cost, as it will depend greatly on the size of the area that needs treatment, and whether or not a patient’s health insurance will cover that treatment, but for two underarms the overall cost is about $1000. Importantly, patients should remember that onabotulinumtoxinA does not cure excessive sweating, but merely reduces the symptoms, and that means that repeat procedures will need to be done in order for the same effects to be enjoyed. If you want to learn more about how Botox could bring you relief from your excessive sweating, then just get in touch with a Dentox approved medical professional for a consultation. If you are a medical professional seeking to learn how to apply Botox for hyperhydrosis and become certified in Botox injection, see our Botox Training Program here. 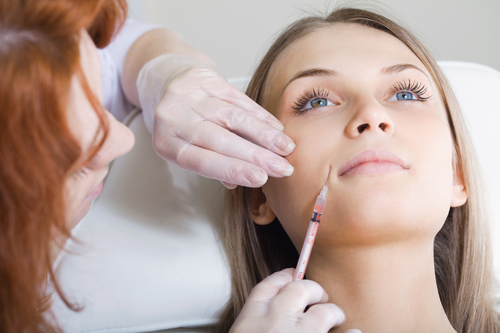 There’s good news for dental practices in Nevada hoping to better capitalize on the high demand for Botox and dermal fillers: both dentists and hygienists with proper training can now administer these injectables. This puts Nevada’s policies in line with most other states in the United States and a growing number of jurisdictions around the world. It also means patients can get injections from people they already trust. The Nevada State Board of Dental examiners issued an advisory policy statement on November 20, 2015 confirming what we at Dentox already know: dentists and dental hygienists have the skills necessary for injecting botulinum toxin and dermal fillers once properly trained in the specifics. This means that dental practices can enhance their revenues and increase patient satisfaction by offering easier access to Botox, Xeomin and related products as well as dermal fillers to existing and new patients. The statement indicates that dental hygienists in the Silver State can administer injectables only under the supervision of a dentist who is licensed in the state and also has training in facial Botox and dermal fillers. Dentists who take the online Botox training course from Dentox are always allowed to have office staff and other professionals in their office to listen in. Now, some of these professionals are eligible for their own Botox certification, potentially increasing the ability of a practice to make money from Botox by allowing dentists to delegate this task in much the same way as doing a cleaning or taking an impression. The Dentox course is a smart choice because it’s led by Dr. Howard Katz, a real innovator in the field of Botox injection whose name actually appears on the patent for the product and other related products. But more than that, Katz is also a practicing dentist with nearly four decades of clinical experience. Dentox offers convenient online Botox training as well as seminars around the nation and the world. And since the company is based in Southern California, it’s often convenient for Nevada dentists to attend in-person training on Dr. Katz’s home turf. A complete training course covers both botulinum toxin and dermal fillers, which are administered very similarly but do have crucial differences. The best courses also contain practical information on incorporating injectables into dental practices and making them part of an overall business plan that can boost the bottom line of a practice. The bottom line of the ruling by the Nevada board is clear, according to president of the American Academy of Facial Esthetics Dr. Louis Malcmacher: Botox and dermal filler injections are within a dental practice’s scope in the state and can now be administered for both esthetic as well as therapeutic uses — as long as proper training is received. With this important ruling, Nevada joins most other states in making it legal and practical for dentists and their hygienists to provide Botox and related injections. The state’s requirement for comprehensive training is in line with requirements in most other jurisdictions and is a sensible precaution for protecting the health of patients in the state. Since the majority of uses of Botox and dermal fillers are on the head, face and neck, no one is better qualified than those who spend their lives working on these areas. No one knows facial anatomy better than dentists and dental hygienists. The recent Nevada ruling is a clear win for dental professionals in the state — and for their patients. The people of Nevada now have easier access than ever before to quick, affordable and convenient injectable from professionals they have already grown to trust and depend on. Nevada dentists or hygienists looking to learn botox injection, train in Botox injection with Dentox. If you’d like to help your existing clients take years off their faces with Botox, you need to find a good Botox training course in Toronto where you can learn the best techniques from proven experts. 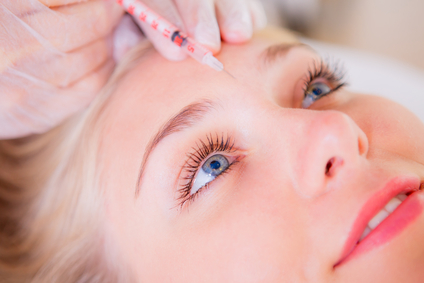 When you add Botox to your practice offerings, you can really make a difference for your patients while attracting new ones and boosting your bottom line. But which Toronto Botox training program is best? And is there a seminar offered that fits into your busy schedule? After all, you may be offering extended office hours on nights and weekends to make sure you can best serve those who depend on you. Would you believe that the best Botox training in Toronto doesn’t happen in the city at all? Instead, it’s an online training course offered in a unique live and interactive format, and there’s only one way you can get it. You can’t deny the convenience of online Botox training. 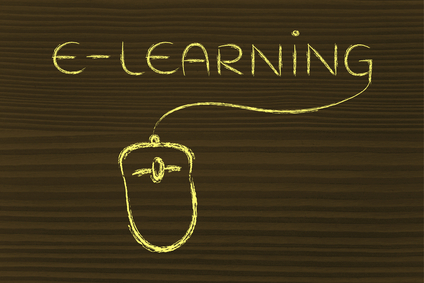 Taking your Botox course online allows you to do it from your home or office, and you can even have key staff members with you to help with the learning process and gain a deeper understanding for themselves. But those are not the only reasons to consider taking Botox training online. The only live and interactive course is offered to you in Toronto by Dr. Howard Katz, an inventor and innovator whose name is even on the patent application for the original Botox product and many similar products. Katz sometimes offers in-person training around the world, but you don’t have to wait and hope for him to come to Toronto when you can choose his Dentox online Botox training course. Using the latest technology and unique foam models that allow you to prove your understanding of injection techniques, Dr. Katz is able to make sure that students around the world fully understand all concepts. He reviews photos of your technique to make sure you don’t miss a trick. – You learn proven techniques from an innovator who can teach you methods other trainers don’t even know about. That’s the power of going with the best. – The course covers all you need to know about using the Botox product for therapeutic and cosmetic purposes. But that’s not all. A complete discussion of related injectable dermal fillers is also included. – You can review the material again and again by having a look at a recording of the actual class in which you participated. Need to see something again just to make sure? It’s online and available to you anytime. Plus, Dr. Katz can help you personally by email when you have a specific question later on. – You’re entitled to hands-on refresher courses when you happen to be in the San Diego area anytime in the future. This opportunity for in-person enhancement down the road is only available from Dentox. Toronto’s a big place, and most of you probably don’t live or work near a Botox training location. Even if you do, getting to the right place at the right time can be a hassle — and you’ll have to close your office while you’re in training. But you can learn from a leader and innovator in the Botox industry when you choose the Dentox online Botox training course. Everything is provided to you in advance, so there’s nothing else to buy and no uncertainty when you train with Dentox. You simply get the very best training from the very best source — and you get the opportunity to help your patients and enhance your bottom line. Who’s the best Botox instructor in London? And what part of the city do you have to visit to get the Botox training course you want? London is a big city, and getting to a training center at the appointed hour can be a real nuisance — especially when you’re using your valuable free time for the course anyway. But there’s a better way to get the Botox training you need from the comfort and convenience of your own home or office — and you can have your staff with you to help you understand and master the concepts and better implement them in your practice. It’s the Dentox online Botox course, and convenience isn’t the only reason it makes sense. Perhaps the biggest benefit of the Dentox online Botox training course is the instructor. While there are many Botox instructors in London who can be classed as competent, it makes sense to get your training from the best. Dr. Howard Katz, the Dentox lead instructor, is an inventor of Botox whose name is actually on this powerful cosmetic and therapeutic drug’s patent application. It isn’t possible to have deeper or wider experience in Botox than Dr. Katz. The format of the course may surprise you. It isn’t a static, recorded event taped at some training event in the past — although recorded training is available for those who prefer it — but it is instead a live, dynamic and completely interactive event that you attend by appointment. But you get to decide which of many offered times best fits your needs and schedule. While a variety of times are offered by other Botox trainers around the London area, no Botox trainer in the UK offers as many seminar time choices. And at those in-person training centers, you usually can’t have your staff with you. Proving your mastery of Botox injection techniques with the online training course from Dentox is as easy as showing Dr. Katz photos of your correct techniques applied to a provided foam head. As long as you have previous experience with other kinds of injections, picking up the Botox injection technique is quick and easy. 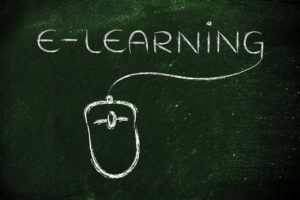 – The techniques you learn are proven to bring you new patients and more business, yet the setup and training costs are very low. – Information is provided on using Botox and related products for both cosmetic and therapeutic uses. – You can review a class recording anytime you like — and ask Dr. Katz questions later if you need help with a specific case. – Hands-on refreshers are available in person if you happen to later be in the San Diego, California area. London is a big city, and unless you live or work near a training center, finding a convenient training course can be a real hassle. But even if you find a place that’s convenient and an instructor who’s competent, you still won’t be learning from the best. Dr. Katz is an inventor and innovator in the field of Botox and other injectables, and his Dentox course is available to you without hassles and without you having to go anywhere. When you train with Dentox, everything you need is provided to you by mail in advance, and your course fee includes everything necessary to get your Botox certification from a leader in the field. It’s easy to see that there’s no downside to the Dentox online Botox course for Londoners like you. It’s no exaggeration to say Botox is one of the most popular esthetic treatments available today. Injections of botulinum toxin A have been used for more than two decades to minimize frown lines and smooth wrinkles. Botox is by far the most frequently performed cosmetic procedure in the country. The American Society of Aesthetic Plastic Surgery estimates that in 2008 alone, nearly 2.5 people received Botox injections, nearly a quarter of all cosmetic procedures for that year. Botox has a safety record that surpasses that of nearly every other medication available. Botox is the brand name given to a purified protein made using botulinum toxin, most frequently botulinum toxin A. There are thousands of articles in scientific and medical literature that support its use both in therapeutic and cosmetic applications. Within a few hours of Botox being injected into the muscles of the face it attaches to the endings of the nerves that control the muscles. Over the next two to ten days, the Botox begins to block transmission of nerve signals that cause the muscles to contract. Wrinkles are caused by contractions of the muscles under the skin, and then they cease to contract, the lines will begin to smooth out. Botox only affects the motor nerves, leaving the sensory nerves unaffected so there is no loss of sensation. Botox continues to block the nerve signals for about three to four months. This is affected by factors such as the amount of the product used, how quickly the patient metabolizes the toxin, and the patient’s lifestyle choices. As the effects wear off, wrinkles will begin to reappear, and the patient will need to be retreated. The way in which Botox works is a big reason for its safety record. First, treatment with Botox is localized, so the effects, along with any side effects, are typically only seen in the treated area. Second, the product is, by its very nature, temporary. Once Botox has worn off, it and its effects are gone completely. This is unusual in the realm of dentistry, where most treatments are intended to last long term. The biggest exception to this is teeth whitening, which needs to be repeated periodically. Botox is most often used to erase or minimize facial wrinkles found on the forehead and between and around the corners of the eyes. These areas are the ones most commonly treated by Botox, though it can also be used in other areas. Currently about 7-8% of dentists in North America offer cosmetic treatments with Botox to their patients and this number is growing. As more dentists offer the procedures, more innovative uses are being developed. Many dentists are still unaware of just how many benefits Botox can offer as a complementary treatment in both dentistry and esthetics. Botox has been found to be benefits as an adjunct therapy for cases of TMJ, bruxism, and facial pain that do not respond to traditional treatments. Because it blocks nerve signals, Botox is effectively a muscle relaxer. In doses half of those used for esthetic applications, Botox can reduce the muscle contractions that cause TMJ and facial pain, offering substantial pain relief. Every dentist has seen at least a couple of TMJ patients who, despite appliances and even entire mouth reconstructions, continue to struggle with pain. Botox can significantly reduce, and even eliminate, facial pain for many of these patients. Botox is frequently used alongside dermal fillers to resolve cases of high lip lines without surgery. Traditionally, these cases have been most often treated surgically. A dentist would raise the height of the gingiva by performing a periodontal flap surgery with both osseous reduction and crown lengthening. This would be followed by crowns and a bridge in order to improve dental esthetics. Even the newest and most inexperienced dentist knows just how aggressive this type of treatment would be. Very few dentists would choose treatment like this for themselves, yet it is what is most often offered to patients. Using a little Botox to weaken the muscles around the mouth and a bit of dermal filler to augment the lip, one can achieve results just as good as with surgery without the expense, pain, or recovery time associated with surgery. Of course, it’s important to approach the procedure with caution so as to maintain normal lip function, including enunciating, smiling, and eating. When done well, the lips cannot be raised as high, but maintains the ability to function normally. As with any treatable condition, it is important to provide the patient information, including risks and benefits, for all alternatives. Even the aggressive treatment has its advantages, primarily that the treatment is permanent. The disadvantages, of course, are initial cost, the number of appointments, potential complications, possible sensitivity, possible need for eventual endodontic therapy, and possible need for repeat surgery, should the gingiva begin to recede. The advantages of treatment with Botox and dermal filler are near-immediate results, no need to remove tooth structure, minimal discomfort, no recovery time, and minimal risk of complications. The disadvantages are the need for repeated injections every four to six months and the cost associated with regular retreatment. It makes little difference to the dentist which treatment option the patient chooses, but it certainly offers more options. This is just one example illustrating the importance of Botox and dermal fillers, along with more traditional options such as veneers and resins, to esthetic dentistry. As important as straight, white teeth, the soft tissue around the mouth is vital to a beautiful smile. Dentists have developed a teeth-centric mindset that it is easy to forget that the area around the mouth is just as important for an esthetic smile. Have you ever noticed a dental case involving a patient with teeth that are perfectly straight and white in the middle of a face with thin, wrinkled lips and deep lines around the mouth? It would not be inaccurate to suggest that these patients have beautiful teeth, but not necessarily a beautiful smile. A number of other dental applications have been developed for Botox, including complementing other therapies by retraining muscles. Moving the teeth orthodontically is easy, but if your patient has strong muscle movement, the teeth will eventually slip back. Botox can weaken these muscles so they can be retrained to more optimal movement. As an adjunct therapy, it is a good option for those patients that have experienced orthodontic relapse as a result of overactive muscles. Botox is also helpful for patients who have just been fitted with new dentures, especially if they have been without teeth for a long time or have old dentures that are overclosed. Even dentures that fit perfectly can be difficult for a patient to get used to and keep in the mouth if the patient has strong muscle contractions. As we age, the corners of the mouth start to droop. When Botox is injected into the muscles in this area, they will relax, allowing the corners of the mouth to lift. Botox can also help erase the wrinkles around the mouth caused by action of the orbicularis oris muscles. These lines are often referred to as smokers’ wrinkles, though nonsmokers are just as likely to be affected. While the number of dentists who offer Botox and dental fillers is growing, the number is still quite small. This is due to the prevailing misconception that these therapies are outside the scope of dentistry practice. On the contrary, currently half of US states, as well as some Canadian provinces allow dentists to administer the injections for all oral and maxillofacial applications. In states where it is not currently allowed, dental associations are working to change legislation. Readers need to be familiar with the laws regarding scope of practice in their area. Botox is frequently offered by many healthcare providers, including plastic surgeons, dermatologists, podiatrists, OB-Gyns, ophthalmologists, physicians’ assistants, nurses, and even medical estheticians, who are often not medically trained. It is time for the world of dentistry to acknowledge that dentists are far more knowledgeable and proficient in oral and maxillofacial areas than any of these professions. Dentists are also experts regarding the facial muscles that are most the targets of these treatments. Opponents of Botox and dermal fillers in dentistry argue that are a medical treatment that should only be performed by physicians. While the premise has merit, the conclusion is based on an assumption that dentists are not real doctors, which is patently untrue. Dentists routinely inject local anesthetic into patients. These local anesthetics are no less medicinal than Botox, and have potential systemic complication. As a dentist, injecting local anesthetics is second nature and you are confident in your ability to manage any complications, which have the potential to be far more severe than any seen with Botox or dermal fillers. With a little training, you can be just as confident in your ability to administer Botox and dermal fillers as you currently are with local anesthetics. Having trained hundreds of healthcare professionals of all stripes, I can confidently say that dentists have the easiest time learning to perform these treatments, are realistic and conservative when administering the injections, and are well qualified to manage any complications when giving injections in the head and neck areas. Another common misconception is that learning to administer Botox and dermal fillers is a skill that takes months to learn. Many dentists believe that plastic surgeons, dermatologists, and other healthcare professionals that offer the treatments only do so after extensive training as part of their medical residencies. This could not be further from the truth. Having spoken and worked with many healthcare providers, I have learned that, unless a residency has a cosmetic element, the topics are barely touched on at best. Most healthcare professionals who administer the injections attend courses that last as little as a day or two to learn the skill before adding it to their practices. Many nurses who perform the procedure do not even attend a course; they receive their training on the job. Some states allow nurses and physicians’ assistants to offer not just Botox and dermal fillers, but also sclerotherapy, laser and chemical peels, and mesotherapy without physician supervision. Should dentists, with their specialized medical training, be considered to be less qualified? I don’t believe I’m exaggerating to say we are far more qualified. It is important for dentists to rethink the profession and its place in the medical arena and stop letting politics dictate esthetic facial procedures. Hands on training is vital to learning not just how to perform these procedures, but how they can be used in conjunction with more traditional dentistry. Generally speaking, dentists finish training more proficient in performing these procedures on patients than any other healthcare profession. Having trained many healthcare providers, it has become apparent that dentists have such detailed knowledge of facial anatomy, and are already so skilled at administering injections, that they are the best qualified to provide the treatments, along with the dramatic effective they can provide, to their patients. It’s time that we, as dentists, extend ourselves to be able to offer our patients all possible options. Botox and dermal fillers are conservative, minimally invasive, and versatile treatment option that can expand the benefits we can offer our patients. They should be seen as a potential extension of where the dental industry is headed. The procedures are not difficult to learn or to perform with proper training. Statistics show that patients are seeking out these therapies and would be thrilled to be able to have them done at the same time as their regular dental appointments. 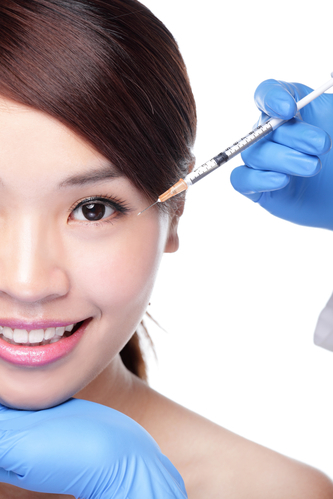 Botox and dermal filler therapies are an ideal addition to any dental practice. Sign up for our Botox Training & Dermal Fillers Training Programs. While expanding an established practice can seem like a huge undertaking, the cost inherent for making dermal fillers available is actually very nominal. Since the procedure involves no extensive investigations or expensive equipment, the cost of setting it up is just what you spend on training and acquiring the necessary skill to give dermal fillers to patients, that’s all. And this too is a one time expenditure, because training requires a few short sessions, and then you’re equipped with that skill set for life. In fact whatever money you invest in the training sessions pays itself back over a very short period of time, and after that, it’s pure profit. Almost all dentists who choose to incorporate Botox into their practice also opt for dermal filler training, because both the procedures go hand in hand. Not only does having both the procedures available appeal to most patients choosing Botox for cosmetic reasons, but also, both the procedures augment their effects, as dermal fillers improve the effects of Botox, and vice versa, especially in the deeply creased areas such as the mouth and cheeks. And it barely takes any time at all, per patient. Dentists need to allot approximately twenty minutes per procedure, out of which only around eleven minutes is spent actually injecting the filler. However, the charges per procedure can clock up to $1450-1500, while the profit margin is huge, upwards of $980-$1000. That is a staggering sum, per patient. And that’s just for the dermal fillers on their own. If you’re giving combined treatments with Botox and dermal fillers within the same appointment, then the duration stretches up to thirty minutes, on an average- a mere ten minutes more than the dermal fillers on their own. And out of this thirty minutes, the time spend administering Botox and dermal fillers is only around twenty minutes. But the profit margin nearly doubles, with profits of around $2130-$2135 per patient, for sessions of approximately $2880-$2890 per patient. You don;t need to set up any cumbersome apparatus or machines. Neither does this take up a huge amount of available clinic space- a moderately sized room with good lighting, any free room that can be lit up suitably, will suffice. Pre existing free space can be modified for these small, half an hour session procedures that will add a gargantuan straight profit to your accounts. And as your proficiency grows, your patient base gets more established and your profits increase correspondingly too. It’s not surprising, after figures like these, that so many dental practices are choosing to offer Botox and dermal fillers as well. Of course, the skill set you furnish will form the backbone of your profit scale. And getting trained by one of the original patent holders of Botox, Dr. Howard Katz, can’t be beat, when it comes to comprehensive guides and proficiency. The course offered by Dentox, over viewed by Dr. Katz, supplies just these kind of skills to dentists who take the course. In addition, they are provided with a direct contact to Dr. Katz himself, who helps answer any doubts the students might have about the coursework or procedures. It’s a small amount of time, a minimum amount of money, and a huge asset to any dentist’s pre existing skill set. Find out about Dentox courses available to boost your practice too. Sign up for Dr. Katz’s Dermal Fillers Program here, and Botox Training Program here.